The 54 flash cards in this set identify and explain a variety hands and how to open them. 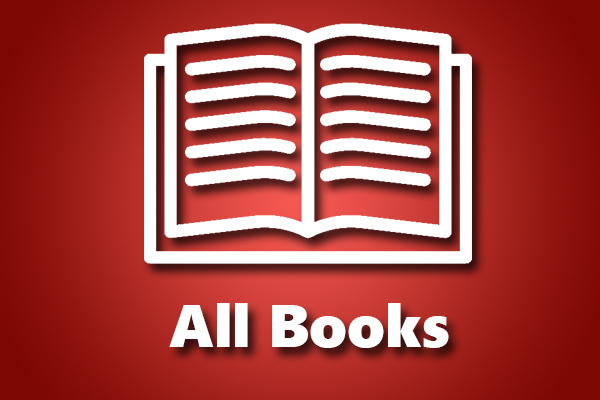 Some are distributional and some are balanced. The effects of vulnerability as well as how to bid in third seat are explained. A great set for the beginning player or for the player returning to the game. 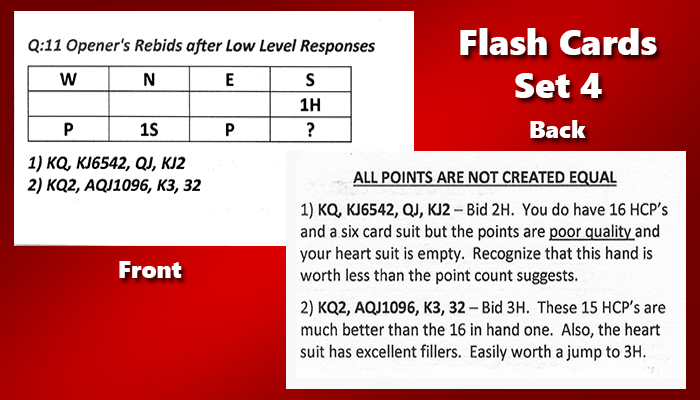 The 54 flash cards in this set explain how Responder initially describes his hand whether responding to partner's major or his minor when there is no interference or when Responder's RHO overcalls. A great set for the beginning player, intermediate player, or for the player returning to the game. The 54 flash cards in this set explain Jacoby and Texas transfers, Stayman, Gerber, quantitative bids, responding to 2NT and to 2C. Also, how to bid when RHO overcalls. A great set for the beginning player, intermediate player, or for the player returning to the game. The 54 flash cards in this set discuss the nuances of bids that "imply" or "deny" a fit. How to show minimum hands or game-forcing hands. How to evaluate shapely hands. 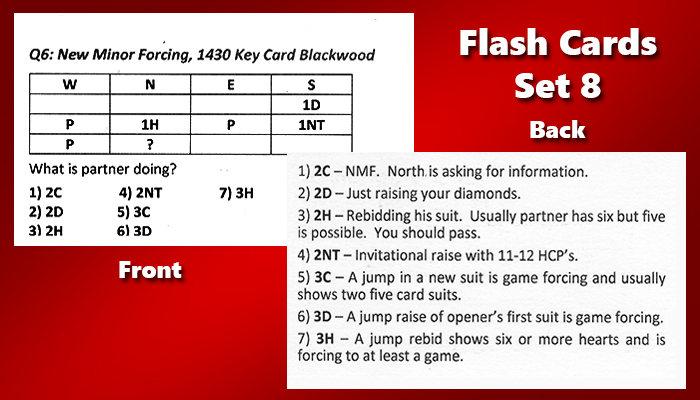 Set #4 offers vital information for all students of the game. This is a must have set for the serious student. 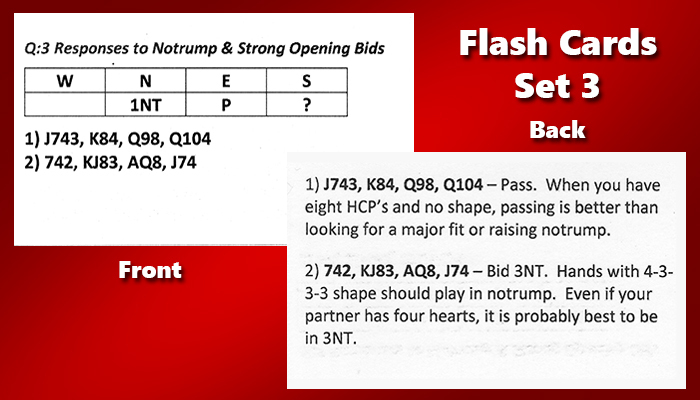 This set of 54 flash cards contains many hands where responder has made a bid of two over one, limit raise, 2NT in response to opener's miner, or a weak jump shift to the two level or the three level. 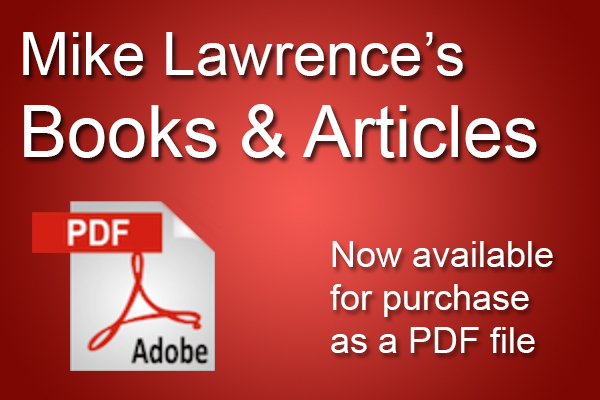 Set #5 offers vital information for all students of the game. This is a must have set for the serious student. This set of 54 cards covers some of your most important bids at bridge. Takeout Doubles, perhaps the most important convention in bridge. Negative Doubles, used by the side that opens. Responsive Doubles, used by the non-opening side. A great set for the beginning player, intermediate player, or for the player returning to the game. Balancing. Bidding when the opponents have bid and stopped at a low level. Overcalls. They open and you bid a suit or notrump. A great set for the beginning player, intermediate player, or for the player returning to the game. There are two important conventions in this set of 54 cards. New Minor Forcing is a convention that allows the partnership to explore after opener rebids 1NT. 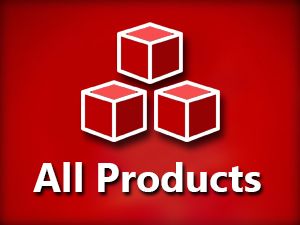 It helps in game and slam bidding and does a lot to simplify the auction. 1430 is a form of Blackwood that allows you to find out about aces and also the king and queen of trumps, two cards that you must learn about for successful slam bidding. A great set for the beginning player, intermediate player, or for the player returning to the game.